It might be the first day back to school after summer vacation for students across Canada, but Toronto-based Spongelab Interactive is offering to allow teachers to do the same. At least, for a few online webinars. The firm, which creates interactive educational learning experiences around science, has announced its Professional Development License (PDL) program. It will teach educators how to use Spongelab’s platform. Intended for purchase by a school, it gives teachers access to three private webinars, access to live Web support, online teaching resources, and automated reports about Spongelab’s usage. 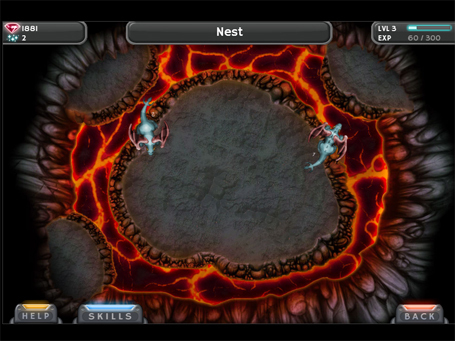 Dragon Breeder is just one of Spongelab’s educational games. The professional training program is timed to coincide with Spongelab’s exit from the beta stage for its education platform. The full version of the platform hosts more than 1,000 pieces of content and has users in 155 countries. Since its launch last summer, the beta program delivered 1.5 million pieces of content around the world. Spongelab’s online portal offers teachers multimedia content such as graphics and images, animations, lesson plans, and educational video games. Its recently launched Dragon Breeder beta game teaches about genetic inheritance by challenging students to breed dragons, complete missions, and defeat other monsters in fantasy cloud world. For teachers that want to show kids that the end of summer doesn’t mean the end of fun, Spongelab offers a fairly appealing option to instruct science topics.